The 902 Gentry is We's first slipjoint folder and it's an instant classic. This elongated pen knife is similar to a Texas Toothpick but with a less pronounced curve to the handle which many will prefer. It requires two hands to open but the action is just the right balance between smooth and stout that you look for in a slipjoint folder. 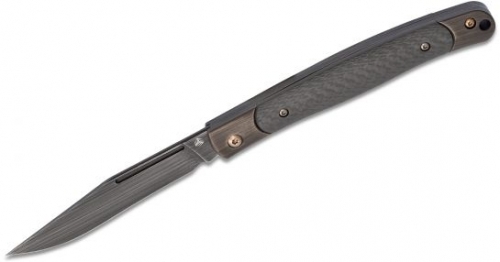 At 7.8" overall, the Gentry is a very capable EDC knife that includes a half-stop safety, which should be a standard feature on slipjoints these days. It's a wonderful introduction to the slipjoint market and will undoubtedly have some people switching over to traditional knives, and maybe for good.